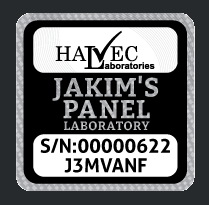 We are proud to announce that Halvec Laboratories is certified ILAC-MRA with effective from 4 April 2017. 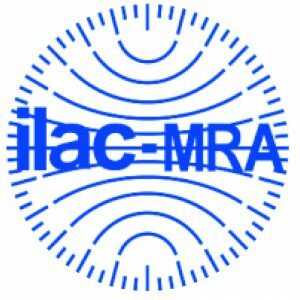 ILAC MRA marking bestows Halvec’s international recognition in offering quality standards in testing and calibration services which enhances the acceptance of results cross national borders and delivers confidence to the general public and consumers. “Bravo to the dedicated team of Halvec! 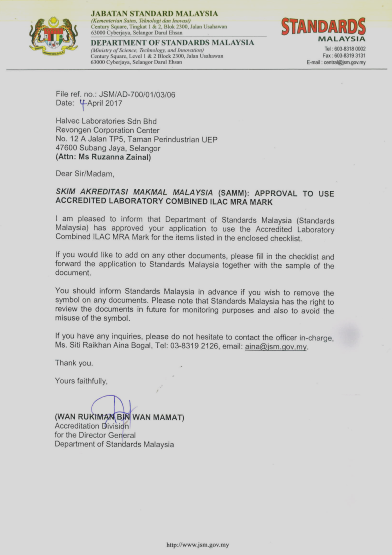 ILAC-MRA marking is indeed leading us to greater height in international recognition of quality standard as a competent, professional and reliable testing laboratory!” said CEO of Halvec, Nor Amin Mohd Noor.